Donald Gary Young (aka Don Gary Young, D. Gary Young, and Gary Young), the founder (in 1994), chairman of the board, and former CEO of the Lehi, Utah–based multilevel marketing company Young Living Essential Oils, died on May 12, 2018, at age sixty-eight due to complications from a series of strokes. The Christian Broadcasting Network’s (CBN) obituary for Young referred to him as a leader in the essential oil movement and a devout Christian but did not mention that in the 1980s, Young pleaded guilty to practicing medicine without a license in the State of Washington and operated clinics in Chula Vista, California, and Tijuana, Mexico, offering bizarre “alternative” medical services. In 2000, he opened the Young Life Research Clinic Institute of Natural Medicine in Springville, Utah, which he closed around the time the clinic was sued in 2005. Young authored several books, including Aromatherapy: The Essential Beginning (1996), An Introduction to Young Living Essential Oils (2002), Essential Oils Integrative Medical Guide: Building Immunity, Increasing Longevity, and Enhancing Mental Performance with Therapeutic-Grade Essential Oils (2003), Raindrop Technique (2003), and Essential Oil Desk Reference Special Third Edition (2015). I believe a close look at Young’s activities can be illuminating for consumers who might be attracted to charismatic health gurus who base their teachings on alleged sources of knowledge from antiquity or tradition rather than on rigorously designed clinical research. Thus, this column concludes with a brief discussion of three other faith-guided healers who made news in 2018. Described as a “modern pioneer,” Young was part inventor and part historian. His pursuit of new wellness discoveries was rooted in ancient practices as he attempted to unlock and share the benefits bestowed by herbs, plants, and trees. According to the news release [from Young Living Essential Oils], while visiting Oman and walking through a market with thousands of giant bags of frankincense resin piled in the streets, Young decided to build a distillery in Salalah, the center of frankincense history; and in January 2010, Young Living opened the first large commercial distillery for the extraction of Sacred Frankincense essential oil in modern times. … the metaphysical doctrine that living organisms possess a non-physical inner force or energy that gives them the property of life. Vitalism is apparent in Young’s unusual approach called the Raindrop Technique, which has been harshly criticized even by aromatherapy practitioner organizations. A full explanation of each step and the details involved in giving a Raindrop with the Young Living Essential Oils for a therapeutic technique for the spine and body. If you were interested in giving a Raindrop, Young apparently expected you to pay plenty for the privilege. The book’s current Amazon sales price in a paperback edition is $143.50 and as a “mass market paperback” the price is $635.23. Young Living has promoted the approach in meetings about the Young Living Empower: Raindrop Technique that have had an advanced registration charge of $150 and on-site registration of $219. Nevertheless, there are free, lengthy videos available online that demonstrate the technique. Basil, Cypress, Wintergreen, Marjoram, Aroma Siez, and Peppermint. The technique, as demonstrated by Young, begins with rubbing different oils in a particular sequence with specified grips and motions into foot reflexology points that supposedly represent different parts of the body, including the brain. In the video he goes through the steps described by Young Living. When he administered wintergreen, he claimed without providing evidence that the methyl salicylate in it is beneficial to bone. He referred to peppermint as a detoxifier and a “personifier” (to supposedly make all the previously administered oils work better). He referred to Valor as a “harmonizer.” I imagine that his instructions sound scientifical to many people, especially those who relate to vitalism. ARC believes that Raindrop Therapy poses risks to the public health. Raindrop Therapy techniques are typically practiced as a one-size-fits-all technique, and may not be suitable for people with compromised liver or kidney function, those with heart disease, those on blood thinning medication, those with allergies to aspirin, and other disorders. Topical application of undiluted oils has a high risk of creating adverse skin reactions. ARC also believes that there is no published, research-validated clinical evidence to support any claim that Raindrop Therapy is able to assist in correcting spinal curvatures caused by scoliosis or to align electric and structural elements of the body, and that, therefore, claims made in this regard or the application of Raindrop Therapy for these purposes is detrimental to the public health. ARC believes that aromatherapy should only complement, not substitute for, conventional medicine. 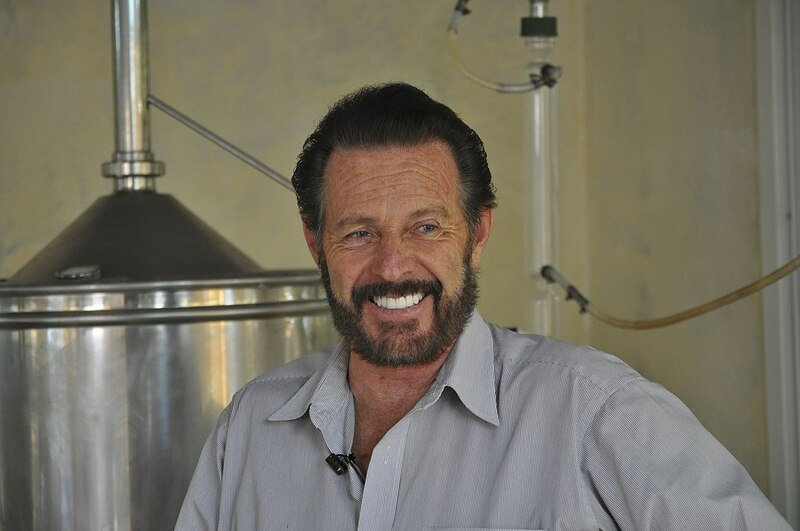 According to his personal achievements page on his website in 2017, D. Gary Young studied various science subjects and the historical significance of essential oils in various countries and universities. The page indicated that he attended Bernadean University between 1982 and 1985 and earned a doctorate in naturopathy. But Bernadean University was a mail-order diploma mill, which had never been authorized to operate or to grant degrees. According to his biography page from 2017, he earned a degree in nutrition before he earned his Bernadean doctorate, but the specific degree or institution that supposedly conferred the degree is not mentioned. A nutrition degree is not mentioned at all on his 2017 personal achievements page. It is unclear, then, if he earned any degrees from any respectably accredited institutions. I’ve seen other stories of founders of multilevel marketing companies facing adversity and then turning their lives around. Such stories probably help to inspire people to invest in becoming distributors. But they don’t establish that safe, cost-effective products are promoted. Young’s current website provides a list of fifteen reference citations to published research papers he coauthored. While he has a record as a coauthor (never as senior author) of research papers in scientific and medical journals, it isn’t clear to me what role he had in any of the research or how his roles could establish him as an expert in therapeutic uses of essential oils. I reviewed each of the papers he coauthored. I see nothing in them that established him as having expertise regarding use of essential oils for therapeutic purposes. None of the papers provide evidence to support his Raindrop Technique or any other approach to therapeutic use of essential oils. My comments about each of the papers are in an appendix following this column. Pre-clinical research papers similar to Young’s are sometimes given press coverage. HealthNewsReview.org warned in 2017 that consumers are poorly served by press reports about essential oils that rely only on preliminary evidence to support claims and that use sources with conflicts of interest. In 1983, while living in Spokane, Washington, Young was arrested for practicing medicine without a license. Based on a three-week undercover investigation, Young allegedly offered: (1) to deliver a baby, (2) treat cancer, and (3) detect cancer using a blood sample. According to investigators, he also allegedly offered to determine the “nutritional needs of another person during pregnancy by drawing blood and interpreting the results of a blood test.” Young pleaded guilty to a misdemeanor charge. He was given a sixty-day sentence, fined $250, and placed on probation for one year. Several months earlier, Young’s infant daughter died of cardiac arrest during delivery in a whirlpool bath at Golden Six Health World, which Young owned. According to the County Coroner, she apparently remained under water for almost an hour before she was removed. Press reported the County Coroner as saying that she probably would have lived if she had been delivered under more conventional conditions. In the late 1980s, Young ran the Rosarita Beach Clinic in Tijuana, which offeredlaetrile; colonics; iridology; massage; vegetarian diet; vitamin C therapy; reinfusing blood that had been drawn from patients and exposed to direct current; and a diagnostic test involving looking at dried blood under a microscope, which Young claimed was 95 percent accurate for identifying current and future diseases such as arthritis and leukemia. Live Cell Analysis using Dark Field Microscopy and Blood Crystallization (Oxidative Stress Test) using Bright Field Microscopy given by your health professional are for nutritional information only and should not be considered a medical diagnosis. Evidence of “aggressive cancer” that had been in the reporter’s cells for four or five years plus liver problems even though the blood had been taken from a healthy seven-year-old, twenty-pound tabby cat. “There is inflammation in the liver. Your blood is indicating the possibility of a pre-lymphomic [sic] condition. It appears as though you’ve recently undergone a high level of upset in your life which has weakened your immune response considerably.” Again, detoxification was recommended. But the blood tester didn’t notice that the red blood cells had a distinctly non-human appearance since it came from a chicken from a poultry shop. “Alternative” regimens for detoxification and supplementation are neither evidence-based nor of plausible value for health enhancement. The district attorney’s office also filed an unfair business practices complaint that accused the Youngs and Crow of claiming they can cure cancer and other degenerative diseases by techniques such as implanting electrodes into cancerous tumors and reinfusing electrically treated blood. The complaint also stated that the defendants: (1) falsely said they could identify thirty-four medical conditions, including stress, bowel gases, hypoglycemia, fluid retention, leukemia, multiple sclerosis, parasites, and immune deficiency, and (2) sold unapproved new medical devices and unapproved new drugs, manufactured medical devices and drugs without a license, advertised drugs and devices to cure cancer, and practiced medicine without a license. Deputy District Attorney Donald Canning said: “Don Young holds himself out to be a doctor in his audio and video tapes, but he is not a licensed physician in any of the United States.” Prosecutors sought a penalty of $2,500 for each violation proved in court and a minimum fine for defendants of $150,000.3 I don’t know whether the defendants were financially penalized. In her October 9, 2017, article in The New Yorker, Rachel Monroe reported that Young opened the Young Life Research Clinic in Springville, Utah, which offered essential oils and other alternative treatments for various diseases. In 2005, the clinic settled a lawsuit with a patient who claimed that infusions of vitamin C had caused kidney failure, almost killing her. Young closed the clinic and opened one in Ecuador. Young Living claims to be the “world leader in essential oils and wellness solutions.” It has websites in almost seventy countries around the world. For some countries, Young Living sites were created in more than one language. Distributors often buy products at wholesale prices and sell them at a retail markup, but the real money comes from recruiting other distributors into your “downline,” and getting a commission on their sales. Young Living divides its sales force into a complex hierarchy stratified partly by sales volume, ranging from Distributor (the lowest level, comprising ninety-four per cent of members) to Royal Crown Diamond (less than one-tenth of one per cent). Though the medium may have changed, the sell remains the same—becoming a distributor is a path to independence, flexibility, and “abundance,” the industry’s favorite euphemism for money. The reality for most recruits is quite different. Multilevel-marketing companies are structured in such a way that a large base of distributors generally spend more than they make, while a small number on top reap most of the benefits. It is often expensive to invest in an initial stock of products, as well as to make required minimum monthly purchases—around a hundred dollars for Young Living members who want to receive a commission check. According to a public income statement, more than ninety-four per cent of Young Living’s two million active members made less than a dollar in 2016, while less than one-tenth of one per cent—that is, about a thousand Royal Crown Diamonds—earned more than a million dollars. Your consultants promote many of your Young Living Essential Oil Products for conditions such as, but not limited to, viral infections (including ebola), Parkinson’s disease, autism, diabetes, hypertension, cancer, insomnia, heart disease, post-traumatic stress disorder (PTSD), dementia, and multiple sclerosis, that are not amenable to self-diagnosis and treatment by individuals who are not medical practitioners. While Young Living marketed its essential oils as dietary supplements, the FDA warned that the products were misbranded and that products not intended for ingestion, such as oils applied to the skin, cannot be considered dietary supplements. On the same day, the FDA also warned dōTERRA International, LLC, Young Living’s major competitor, which was founded in 2008 by former Young Living executives, about improper representations of its essential oil products. In 2017, Young Living pleaded guilty in federal court to federal misdemeanor charges regarding its illegal trafficking of rosewood oil and spikenard oil in violation of the Lacey Act and the Endangered Species Act, and was sentenced to a fine of $500,000, $135,000 in restitution, a community service payment of $125,000 for the conservation of protected species of plants used in essential oils, and a term of five years’ probation with special conditions. With dubious educational and professional credentials, Young developed a career as a promoter of egregious pseudomedicine and a leader in the essential oil movement. He was especially influential in launching Young Living Essential Oils, which remains a big player in the aromatherapy industry. But even organizations devoted to advancing aromatherapy have raised safety concerns about Young’s Raindrop Technique and have criticized Young for making unsubstantiated therapeutic claims. Young was revered as a Christian by the Christian Broadcasting Network. His teachings about healing with essential oils were significantly rooted in the Christian Bible. It seems likely that he attracted devout conservative Christian customers by appealing to Christian scripture and nature. But even Young’s teachings about healings rooted in non-Christian traditions of holism, spirituality, and vitalism could have appeal for many Christians. In The Healing Gods: Complementary and Alternative Medicine in Christian America (2013), religious studies scholar Candy Gunther Brown noted that many devout Christians interpret the Bible as providing endorsement for a wide range of dubious approaches to healing, including detoxification methods and vitalistic practices such as homeopathy. She notes the recent marketing of Christianized versions of practices such as acupuncture, reiki, yoga, and chiropractic. I see people who use religiously based qualifications to provide health care services as following in the footsteps of Donald Gary Young. For example, in January 2018, Malachi Alexander Love-Robinson, aged twenty, who received national media attention in 2016 for operating a South Florida holistic clinic and pretending to be a doctor, signed a plea agreement that called for a sentence of forty-two months of incarceration with credit for more than a year already spent in prison. It appears that his only “doctorate” was a divinity degree from the online Universal Life Church Seminary that could have been bought for as little as $29.95. Morrow’s YouTube channel offered forty videos and had at least 2,700 subscribers. His “Message from Our Founder” on the Common Sense Herbal Products website describes him as a “Master Herbalist and Iridologist” to whom God began talking about herbs over twenty-five years ago. …an established ecclesiastical association developed over a decade and a half ago to restore bible based wellness and counseling services, to provide a constitutionally sound path for licensing of spiritually oriented practitioners that desire to offer those services, and to connect the millions seeking such services with our licensed providers. We now serve a community of hundreds of thousands of individuals and families in all U.S. States, throughout Canada and many other countries who value and prioritize their health, who believe in freedom of choice when it comes to health, and who are seeking natural means for restoring and building good physical, mental and spiritual health. I imagine that many other spiritually oriented practitioners without real medical expertise strive to be as consequential as Donald Gary Young was. I recommend that consumers be wary of Young wannabes. M. Himaka. “Clinic Given Order of Restraint.” San Diego Union, March 8, 1988. “Judge Orders Chula Vista Medical Clinics to Shut Down.” San Diego Union, June 18, 1988. B. Callahan. “Court Blocks Ads, Sales by Chula Vista Clinic.” San Diego Union, March 11, 1988. Only one of the papers Young coauthored can be considered a clinical investigation, but that paper is a case report—an anecdote backed with documentation. It’s the least informative type of study in the hierarchy of clinical evidence regarding safety and effectiveness of treatments. The paper, “Management of Basal Cell Carcinoma of the Skin Using Frankincense (Boswellia sacra) Essential Oil: A Case Report,” was published in OA Alternative Medicine, a journal of Open Access Publishing London. Assuming that the oil could receive Investigational New Drug status in the U.S., it would take three phases of increasingly rigorous research with well over a thousand people before standards for drug approval could be met. Effective treatments of basal cell skin cancers are already available. Another paper he coauthored in OA Alternative Medicine reviewed the anti-cancer activity of frankincense essential oils in laboratory studies, but such studies don’t establish that the oils are safe, effective treatments for any specific type of cancer. I’m not qualified to evaluate “Detecting Essential Oil Adulteration,” a paper coauthored by Young and published in the Journal of Environmental Analytical Chemistry, but I’m all for quality control of consumer products. Purity is important, but it shouldn’t be mistaken for safety or effectiveness. Perhaps other papers coauthored have value in answering questions of interest to some serious scientists, but I don’t see how any of the papers answer any practical questions that consumers should ask about any product promoted to them for health enhancement. Young coauthored a paper published in the Journal of the American Nutraceutical Association about an explicitly pre-clinical investigation that involved injecting wolfberry juice and other juice mixtures into the abdominal cavity of mice and then looking for effects on immune function. I don’t imagine that many people interested in essential oils would be interested in receiving injections of juices into their abdomens. He coauthored a paper published in Flavour and Fragrance Journal reporting inhibition in cell culture of methicillin resistant Staphylococcus aureus (MRSA) by fifty-two of sixty-four blends of essential oils. The paper acknowledges that much more research is needed before clinical safety and efficacy in treating MRSA infections can be established. A Young paper published in Pharmaceutical Biology addresses technical aspects of assessing anti-microbial activity of essential oils in a laboratory, not in or on people. Young coauthored two papers published in BMC Complementary and Alternative Medicine. One reported on Boswellia sacra essential oil effects on cultured breast cancer cells. Another reported on frankincense essential oil effects on cultured pancreatic cancer cells. Neither study establishes that the oils are safe and effective to use in treating actual breast or pancreatic cancer patients. The other, “Differential Effects of Selective Frankincense (Ru Xiang) Essential Oil versus Non-Selective Sandalwood (Tan Xiang) Essential Oil on Cultured Bladder Cancer Cells: a Microarray and Bioinformatics Study” published in the journal Chinese Medicine, is similarly uninformative regarding how cancer should be treated. Another paper reported on a cell culture study and was published in the Journal of the Utah Academy of Sciences, Arts & Letters: “Inhibition of LPS Induced Nitric Oxide Production in Murine RAW Macrophage-like Cells by Essential Oils of Plants.” The authors noted: “…The correlation of results from these data to in vivo anti-inflammatory activity along with the overall benefits to the patient is still speculative.” In other words, the research doesn’t support any meaningful health claim about any essential oil. Five of the papers were published in the Journal of Essential Oil Research. Those papers reported: (1) reductions in aerosol-borne bacteria under a fume hood with exposure to an oil blend, (2) reduction of bacterial plaque production when mixed with some oils, (3) three of seventy-three oils having highly inhibitory activity and fifteen having moderately inhibitory activity against cultures of Streptococcus pneumoniae R36A, (4) descriptions of the chemical composition of essential oils from herbal parts of three varieties of Chrysothamnus nauseousus, and (5) a description of the chemical composition of an essential oil found in the stem of a plant from Ecuador. None of the studies provides a sound basis for recommending essential oil treatment for any health concern.